Hey! Yesterday the festival was amazing! Now i have to wait Passion Pit come back to see them... But ok.
Chrisy: New Order is great! But i guess if i had to choose one group or artist to be listening for the rest of my life it would be without a shadow of a doubt, Depeche Mode. Oh yeah Fleet Foxes rocks, absolutely one of my favorites. I just can't stop listening to her lately, the Magnolia soundtrack is just wonderful! Perfection is such an amazing track, but Opposites attract haunts me! But what I really like about music is discovering new artists and I'm surprised the most important part of the bands listed above in this thread are American/English, or at least english speaking, and known all over the world. I'm sure everyone listen to bands coming from his own country and I think it would be nice to share about them, I'd like to know them! Djemdi: amazing band, they could be from anywhere as they don't sing, and their music is based mainly on didgeridoo and djembe. One of the best band I've seen on stage these last years, they deserve to become famous! Dionysos, my favorite rock band, totally amazing on stage! Meï Teï Shô. Unforunately, the singer on the video (Sir Jean) is no more part of the band, but he's also known for his work with Zenzile, Ezekiel, JMPZ, Le Peuple de l'Herbe, all bands I really enjoy too. Caro Emerald, actually I think she's pretty well known internationally these days. How can you not love this music? Has a jazzy feel to it. give me his pants and that girl! @Shayah: glad you liked it! Legowelt (and bunker record in general) by far my favorite dutch artist (there are not too many comparing to bigger countries it is true) but this guy makes awesome music! Wow, I have to say you people have really good tastes in music! Saw many stuff I like in here! I'm into post-punk bands, especially Joy Division, The Fall and The Smiths, alternative/experimental rock, such as Sonic Youth, Pixies, Yo La Tengo, Guided by Voices and Pavement, shoegaze, like My Bloody Valentine, The Jesus and Mary Chain, Chapterhouse, Cranes and Slowdive, and folk/acoustic music, like Nick Drake and Elliott Smith. Oh, and a bit of classic rock, such as The Beatles, The Velvet Underground and The Doors. I also listen to a lot of female vocalists: PJ Harvey, Lisa Germano, Liz Phair and Joni Mitchell are my favourites. I love Marie Antoinette's soundtrack (by Kevin Shields), which features The Strokes, New Order, Siouxsie and the Banshees, Gang of Four and The Cure, simply wonderful! 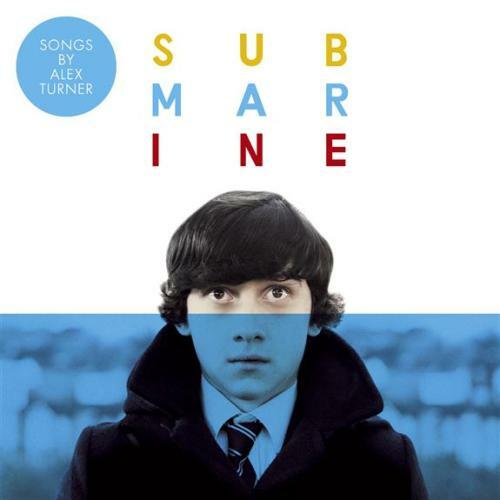 My current favourite film soundtrack: Submarine, by Alex Turner (main singer from Arctic Monkeys). The EP was officially released in UK today and here are some of my favourite songs from youtube. Sucker punch soundtrack is amazing! nice and sunny day everybody!